GetAFollower is one of the older social media promotions providers around, having been established in 2010. The company offers different YouTube services, including views, likes, comments, and shares. They claim to use advanced promotional techniques to attract real viewers to your videos. We were impressed by the size of the packages they offer, which range from 1000 to 1 million views. The customization options are fairly decent, but they need to expand their location choices. Their prices are a bit higher than other providers but are still good. Customer support is overall excellent, with them actively responding both through live chat and email. Their refund and replacement guarantees provide sufficient protection. We think that they could be an excellent option for creators who want to solidify the ranking of their videos. GetAFollower is a social media promotions company established in 2010. They claim to deliver high-quality services using a variety of marketing strategies. According to them, these strategies have helped their customers become social media celebrities. Aside from video views, the company offers YouTube likes, subscribers, comments, and shares. Their services extend to other platforms like Facebook, Twitter, Instagram, and SoundCloud. This makes them a versatile provider for those who want comprehensive social media support. 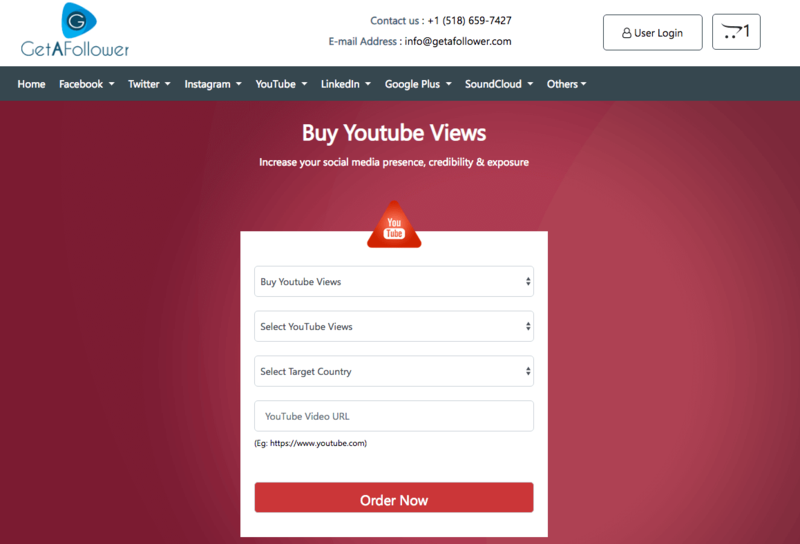 GetAFollower offers several Youtube views packages ranging from 1000 to 1,000,000 views. The views typically arrive between 1 and 25 days, depending on the size of the package. They provide several customization options to better target the views you get. To order, just provide the URL of your video and select the package options you want. The site accepts Paypal and credit cards as modes of payment. Option of choosing normal or high retention views. In their Terms of Service, GetAFollower states that they use several marketing techniques to deliver the views you ordered. They do not guarantee that the campaigns will be completed exactly within the duration specified on their services page, which can lead to different delivery times. You are advised not to run third-party campaigns during your use of their services. The company confirms that they can sometimes over-deliver on the YouTube views you order, but they point out that this is not a standard offer and should be treated only as a bonus. They also stressed that these extra views are not covered by their retention policies. GetAFollower states that they collect only the personal information that is relevant to the services you are ordering. They guarantee that your data is well-protected in their servers. In case of data breaches, the company claims no liability for any loss of information or other damages. The company notes that there are exceptions to their privacy policies. These include any formal request made by government agencies for information about customers. They may also turn over information if they suspect that you are engaging in fraudulent activities. GetAFollower provides a 30-day money back guarantee for all of their services. You are entitled to full refunds only if the products you ordered are not delivered and the company is unable to provide solutions. Additionally, you may get a refund for cases of fraudulent transactions made under your account that you are unaware of. To claim a refund, you need to contact their customer support as soon as possible. GetAFollower states on their Terms of Service that they provide a 180-day retention warranty for YouTube views. You need to send a request to their customer support for replacements. 1: If you are already experiencing a significant decline in YouTube views prior to using their service. 2: If you make changes to your YouTube account that renders it less accessible. 3: If you use social media marketing services provided by other companies. 4: The site also reserves the right to refuse requests for replacement under other circumstances. 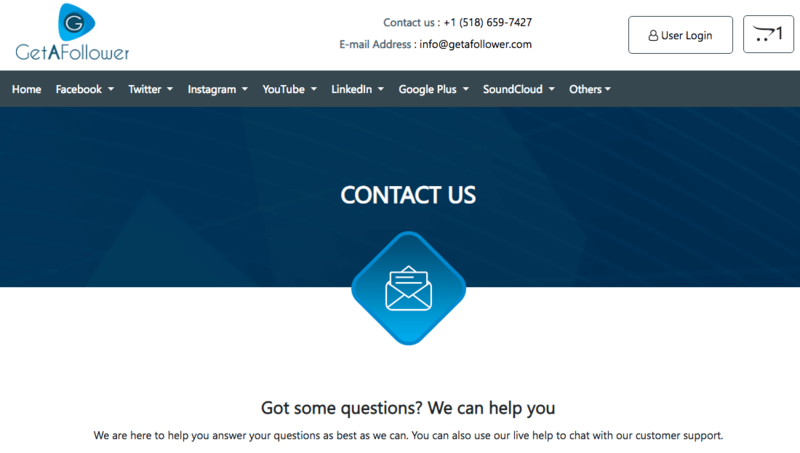 GetAFollower mainly provides customer support through a live chat panel on their site. Chat support agents are not regularly available, but they do respond immediately when they are online. 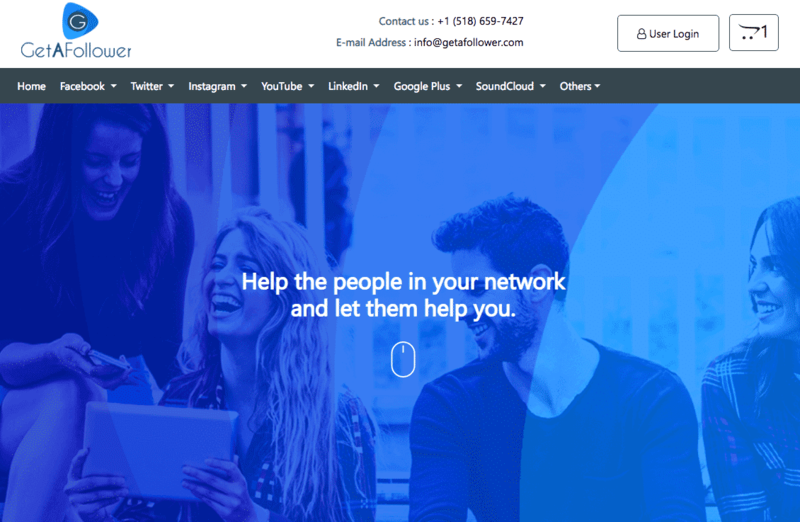 You can also reach out to them through their on-site contact form, a phone number at Contact us : +1 (518) 659-7427, and a support email: info@getafollower.com. GetAFollower’s YouTube Views service is a good option if you are looking to boost the prominence of your videos. They offer packages of up to a million views, which gives you a big boost. Take a look at how many views you need, and choose one of their exceptional policies. 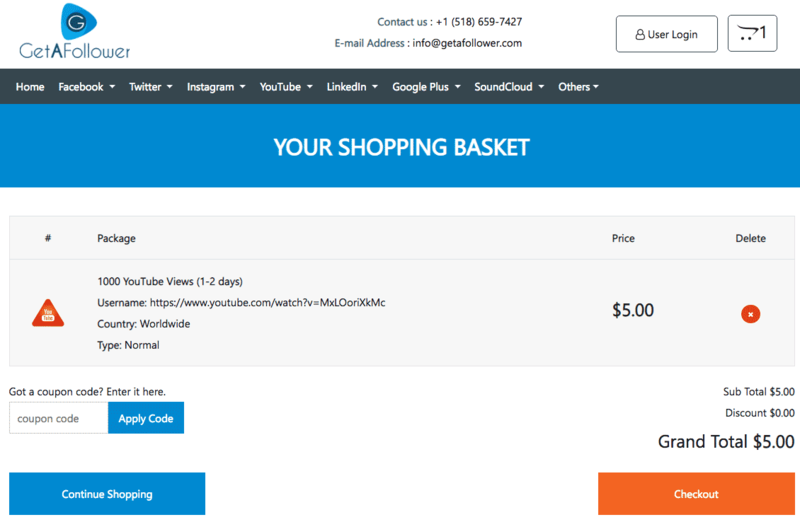 GetAFollower typically takes between 1 and 25 days to deliver all the YouTube views you ordered, depending on the size of the package. The views start coming within two hours after your purchase and are delivered gradually. Their terms of service state that they might sometimes go beyond the indicated duration of delivery, depending on the pace of their marketing campaign. According to GetAFollower, all the views they provide come from real people. These are generated through a series of marketing promotions that they conduct, according to their website. GetAFollower’s customer support staff says views will not drop easily, as they come from actual viewers. In case of any drops, they offer a 180-day replacement warranty. GetAFollower offers sizable follower packages, giving you up to a million views in one order. They claim to deliver real views from actual people and provide some audience customization options. Their larger packages are a bit pricier than those of other providers, but are still reasonable. The site’s customer support team is very responsive. They answered our questions within minutes via live chat, and within a few hours through email. GetAFollower’s retention warranty is also notable for its length, giving additional support to their strong refund policy. We recommend GetAFollower if you want to boost the prominence of your videos and give them a solid image. Check out their offerings by clicking the button below right now.